5 things I was never told about scoliosis surgery !! When I had my scoliosis surgery I felt as prepared as possible, however they were several things I was unaware of post surgery, I thought I would share these and if any of you reading this are going to have the scoliosis spinal fusion surgery then maybe this could be useful to some of you. I had know idea that this would be a problem, but sneezing was very painful! post surgery you will feel very sore and weak and trying to get a sneeze out is very tasking. unfortunately this isn't something that can be prevent we just have to deal with it, on the bright side this discomfort does disappear after a few weeks. imagine spending your entire life balancing to one side of your body and then having to try to re balance yourself so you walk straight, everything is so much easier but it does take some serious getting used to. I expected it to come naturally but it was quite a shock to be honest. I was aware that I would experience a loss of flexibility, however I wasn't aware of how much. post surgery I was incredibly stiff and simple tasks became difficult, I had to have a lot of help which I wasn't prepared for. Although I was really happy with the results from my spinal fusion surgery, flexibility is something I would definitely advise future spinal fusion patients to think about before having this particular surgery, especially when they are new surgery such as spinal tethering which are proven to be a lot better on the flexibility post surgery. I knew it was going to be boring, but I don't think I realised how boring it would be, or how many hours they are in a day when you have nothing to do other than stare at plain walls and count the beeps from the machines. I have to say my favourite time of the day was physio, it was the 1hr of my entire day where I was able to look around, physio was painful at times, but it was hands down the most rewarding experience in hospital. Who knew that being able to sit for 1hr, walk up a flight of stairs or even just walking with no assistance would be so thrilling! overall, what I was trying to say is no amount of books, films or family members can prepare you for the inevitable boredom you will encounter whilst in hospital. I remember going home after 8 days in hospital, it was so exciting, but trying to bend to get in the car was probably one of my worst experiences with scoliosis it really hurt! The journey was very uncomfortable and every time we went over a speed bump it felt like I was being rattled from the inside out. Car journeys, were something I never thought would be a problem so if you are having scoliosis spinal fusion surgery be prepared and put lots and lots and lots of pillows around yourself, whilst in the car. I was so incredibly happy with the results from my surgery, and I can safely say over a year later that I am still amazed. 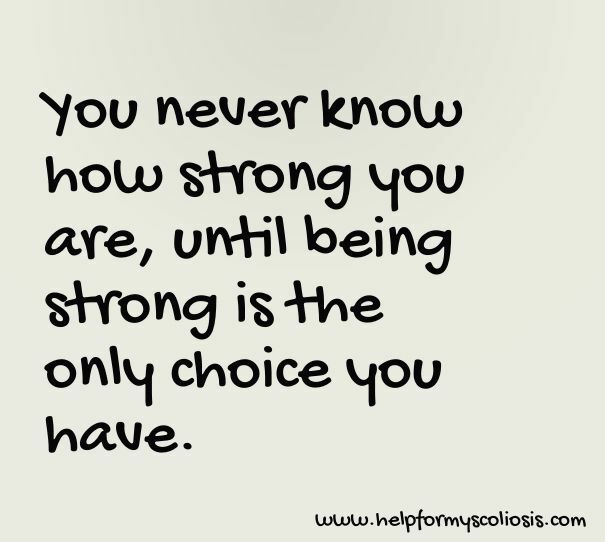 Scoliosis surgery is not an easy operation to recover from but, in my opinion it is worth it in the long run. Thank you for reading. I hope this has been useful to some of you who are awaiting scoliosis surgery, and maybe you can take away some of these post surgery struggles and hopeful feel prepared.